Sean began his career as an associate for Boehl Stopher & Graves. From 1992 until 1997, he successfully litigated to jury verdict multiple personal injury cases under the guidance of the lawyers who would later form PPOA. 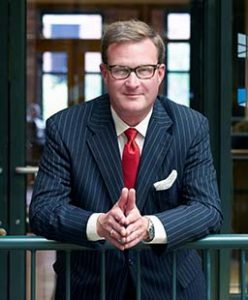 For the next eight years, Sean operated his own firm handling a wide variety of cases, continuing his active litigation and trial practice. Sean returned to his mentors at PPOA in December, 2004. Sean currently focuses his practice in the defense of cases in the fields of medical malpractice, products liability, premises liability and employment discrimination. Sean is licensed to practice in the federal and state courts of Kentucky. Sean’s wife, Becky, also practices law in Louisville. Pauley v. UHS of Ridge, Inc., 2009 WL 1424015 (E.D. Ky. 2009) (obtained summary judgment for psychiatric hospital in patient sexual assault case).